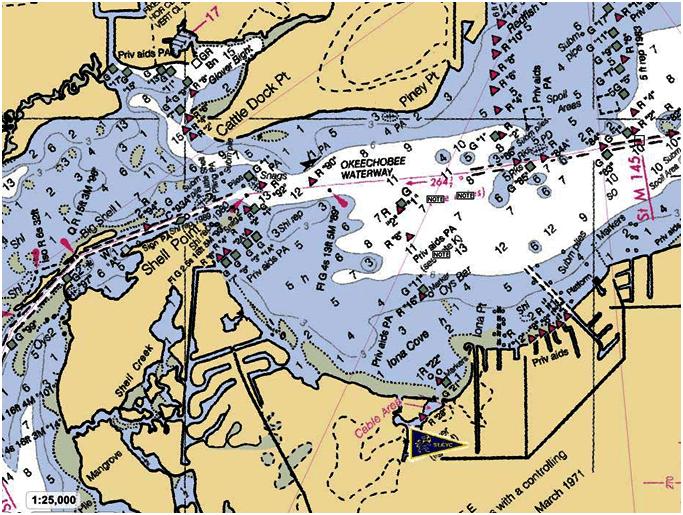 SCYC is located on the Caloosahatchee River, at approximately mile marker 146 of the Okeechobee Waterway. Entrance to the club is via a private channel: turn south between Green Markers #89 and #85, follow the private channel into St. Charles Yacht Club&#8217;s well protected harbour. The dockmaster monitors Channel 16.